Got pumpkin? 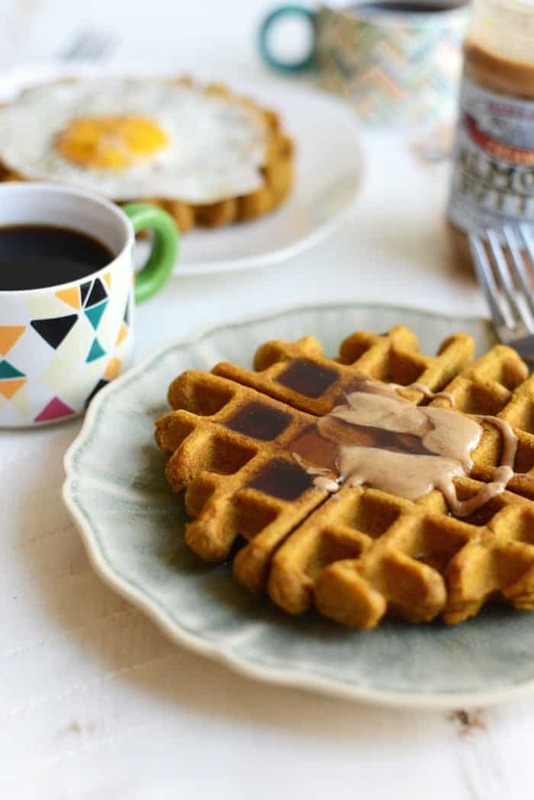 Make these delicious, fool-proof gluten-free pumpkin waffles! 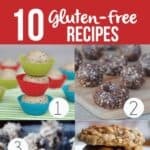 They’re made with no refined sugar, no dairy, and just a small amount of coconut oil! This is a recipe the entire family will love! I’ve had my waffle make for almost a year now and I think I’ve used it only 2 or 3 times. I just get so discouraged with waffle making because it really is an art. This summer I attempted a fruit-filled grain-free waffle that was a complete flop (pun intended). Then I tried it again and called it a double flop. Talk about discouraging! I thought I would give waffles another try because I had some leftover pumpkin I needed to use up. 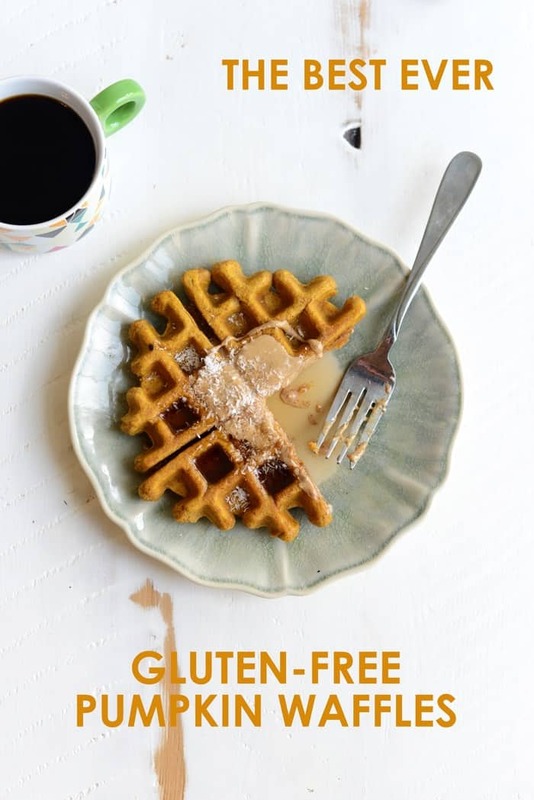 The one time I had a success with waffle making was last year’s Gluten-Free Ginger Bread Spice Waffle recipe. 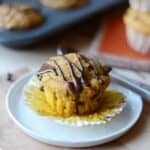 I used last year’s recipe as a base and of course modified it to get the best pumpkiny flavor ever! Let’s talk pumpkin pie spice. 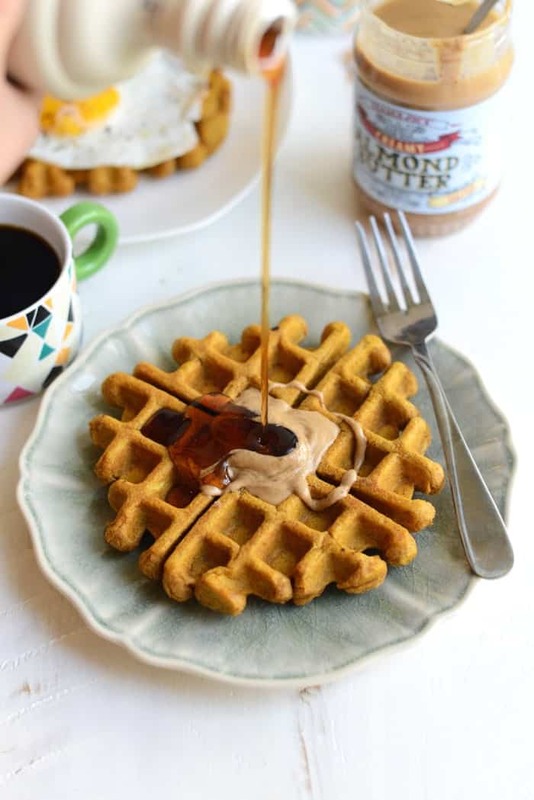 I’ve seen some amazing DIY pumpkin pice spice recipes floating around on Pinterest like this one from The Healthy Maven. If you’re lazy like me and just want to purchase pumpkin pie spice, I recommend the Penzey’s brand (always and forever <3). I’ve already almost gone through an entire bottle this fall and the first day of October was on Wednesday! 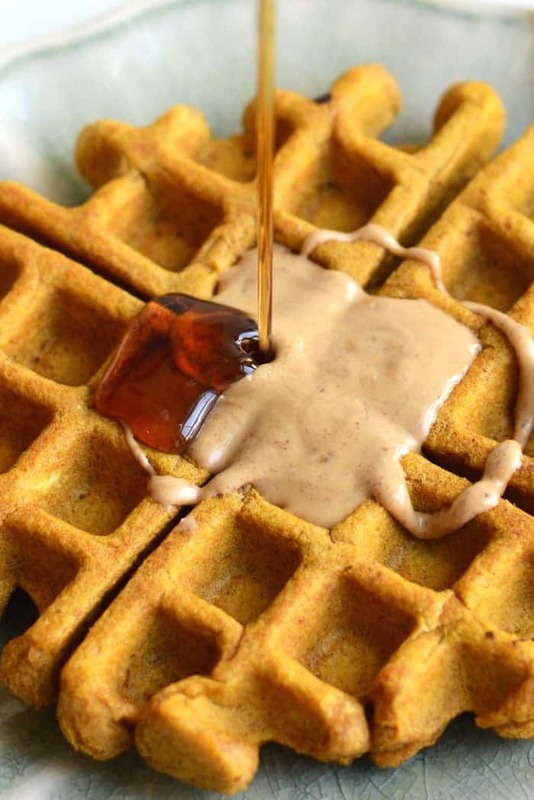 As for pumpkin waffle toppings…I of course used 100% Pure Canada Maple Syrup and a big dollop of almond butter! For waffle number 2, I got a little fancy and put a fried egg on top. Sweet or savory…this recipe works for both! 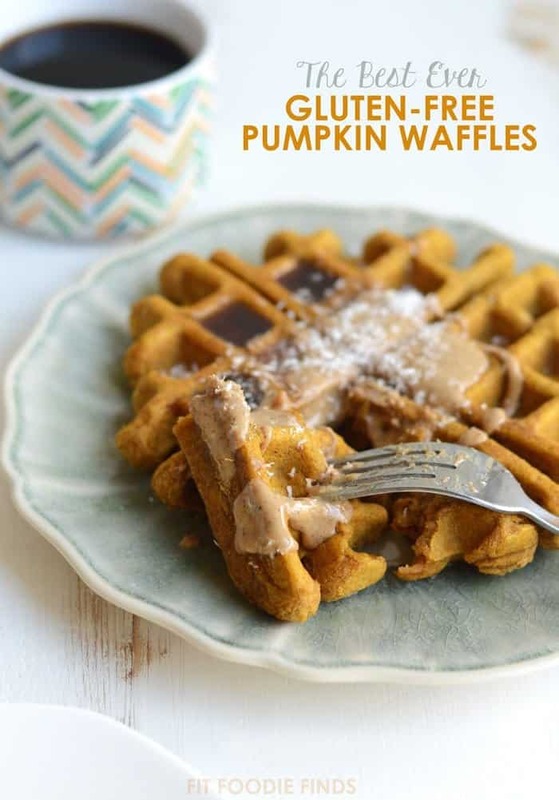 I’m definitely going to be using this very recipe and swapping out the pumpkin for sweet potato in the near future. Gotta get my veggies in at breakfast! Are you a waffle master or do you have more flops than fancies? 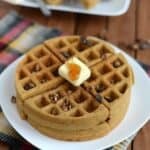 What is your favorite waffle topping? 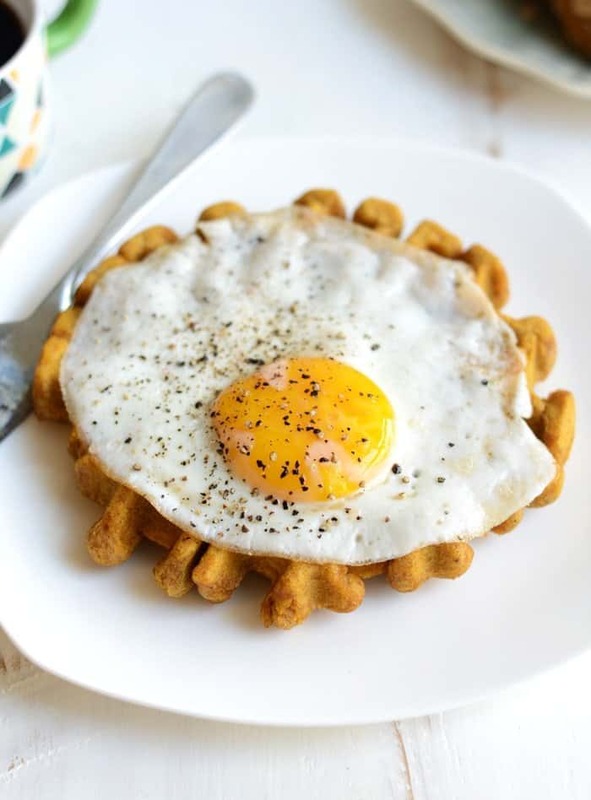 Begin by preheating your waffle iron to medium. Next, in a large bowl, mix together the wet ingredients. Then, add in dry ingredients and stir until combined. Once waffle maker is completely heated, lightly spray with non-stick cooking spray on both sides. Then, pour about 1 cup of batter onto waffle maker, close, and flip. Let cook for about 1 and ½ to 2 minutes. Flip waffle maker and open. If it needs a little be more time to cook, close and flip over, let cook for about 20-30 seconds longer. Use non-stick tongs to remove waffle from iron.